The Duchess of Cambridge made her first official visit to Wiltshire this morning with a visit to Action on Addiction's Centre for Treatment Studies in Warminster. Kate was greeted by staff and representatives from the charity upon arrival. 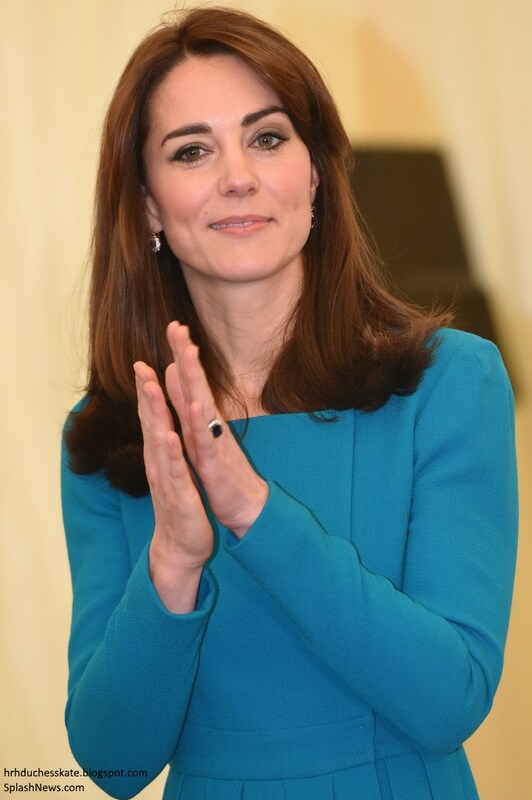 Action on Addiction was announced as one of Kate's first patronages back in January 2012. Since then she has carried out a number of engagements on behalf of the organisation and today's visit very much ties in with Kate's autumn programme of engagements focused on mental health and related fields. 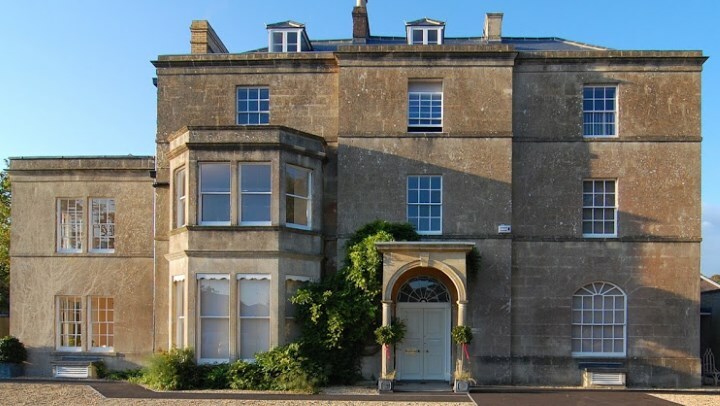 The centre's location is a spacious Grade II listed Georgian manor which has been converted and equipped to provide an excellent learning environment with a welcoming atmosphere. There are many difficult challenges in the addiction treatment field, and an inadequately trained workforce has long been recognised as one such difficulty. The centre contributes to raising standards by training addiction counsellors to a higher standard than ever before. Over 200 students from the UK and other countries have graduated from the centre, and gone on to pursue careers in a variety of organisations in the UK and abroad. Many more have completed the centre’s Continuing Professional Development Courses. Over 60 per cent have disclosed either a family connection or declared themselves in recovery. If you wish to find out more or donate please click here. The Duchess toured the centre and saw first-hand its work providing training, education and professional development for those working in addiction and other related fields. Her Royal Highness then met course tutors and examiners before participating in a tutorial group to discuss their training. 'The Duchess of Cambridge was moved after hearing how a recovering alcoholic had overcome the trauma of losing her three sons to foster care to graduate a university course, in addiction counselling. Anna Elston, 43, told how she was 'entrenched in active alcoholism' and her children, including her premature baby son Dylan -- who was born at 25 weeks and weighing just 1lb 12oz -- were taken into care. But, after she was able to prove she could 'get to grips with my recovery' she mercifully regained some care of her sons after a year. 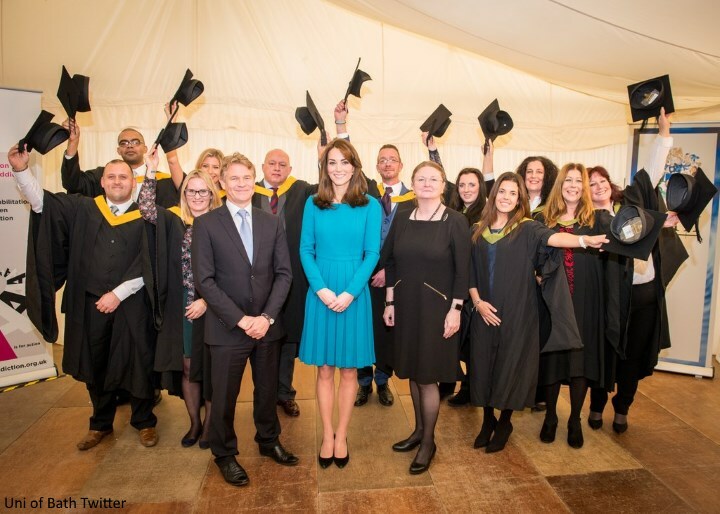 Kate joined a graduation ceremony celebrating students who have achieved foundation and honours degree programmes. As HRH posed for a photo with graduates she said "Let's do one with your hats". The Duchess also had the opportunity to receive an update on the local M-Pact (Moving Parents and Children Closer Together) programme which takes a whole-family approach to tackling addiction. You may recall Kate launched the M-Pact programme in Manchester in 2013 wearing a floral-print Erdem dress. In 2014, Kate - wearing her GOAT Scarlett Dress - visited a school in Islington to see the next stage of the programme M-Pact Plus, a school-based project designed to provide early support for children affected by a parent's addiction. As royal patron, it's important for Kate to be kept abreast of developments and to view the progress of initiatives launched by her charities. 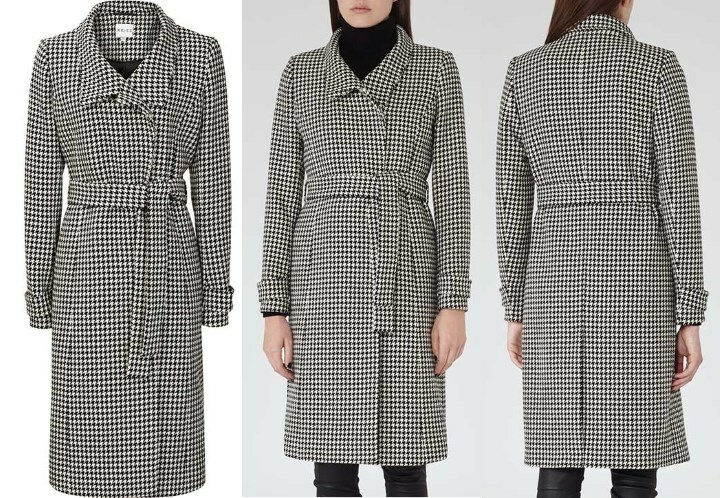 The Duchess showcased the latest addition to her fabulous collection of coats; the Reiss Rubik Houndstooth Wrap Coat. A closer at the asymmetric stand collar and print. Kate wore her bespoke teal 'Alice' coatdress by Emilia Wickstead first seen in New Zealand during the 2014 royal tour. When Kate wore the dress in New Zealand it was a very familiar piece indeed. Kate initially wore a pale pink version of the garment which she wore for The Queen's Sovereign's Luncheon and The Queen's Garden Party in May 2012. The Duchess obviously liked it so much she commissioned another one from the designer. Kate wore her Stuart Weitzman Power pumps. And carried her black suede Mulberry clutch again today. Kate's sapphire and diamond earrings completed the look. It's been a rather eventful week full of surprises, from the completely unexpected sighting of the Diana's Cambridge Lovers Knot Tiara to Kate's new do being unveiled at ICAP's Charity Day yesterday; it's been a very enjoyable and eventful week. It's also been great to see all of your comments and conversations too. A big thank you to all who participated! There's a video from the visit at ITN Source. Finally, with thanks to Cepe for sharing news William, Kate and Harry attended a reception for their royal foundation yesterday. As it was a private event, we do not expect photos will be released. Don't know if I'd have paired those two garments together, but each piece is beautiful. I still love her hair! And I NEED to find earrings like that. They are gorgeous. I agree, very different garments, love them both. Nice put Charlotte, she has one incredible collection of coats!! Her hair is not growing on me, sorry. She keeps messing with it, no matter it is long or short. I've recently found on etsy.com a shop, called Tudorshoppe (Texas, U.S.A. based, where the sell hand made repli-Kate jewellry, among the other beautiful replicates. 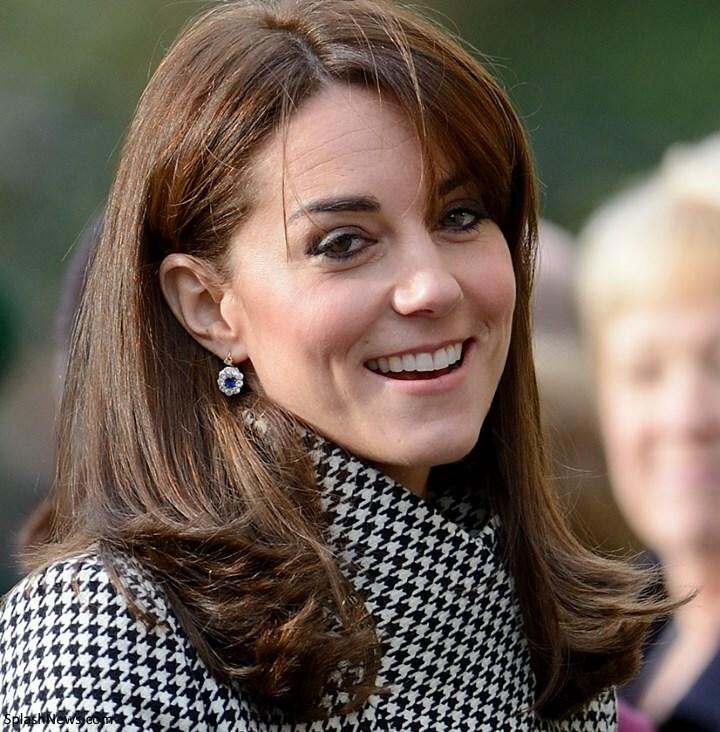 There is the georgeus pair of repli-Kate earrings you're looking for, too. You google etsy.com, and once you get there, you put tudorshoppe (with double p and final e). I haven't bought anything yet from them so far, but I think I will because the customers' reviews are positive. You can contact them if you wish to know more about the material they use and if it is hypoallergenic. I actually bought a pair of earings from that esty store (knock off of Kiki citrine drops) and they are super light weight and great quality! Though the stones in the kikis are darker and more intense than the stones in my knock offs. But I would still recommend them because they were only $17! Thank you Amelia for your comment. Actually my intention was to buy exactly that pair of earrings, knock off of Kiki citrine drops. Knowing that you recomemend them for their quality and price, I will buy them as soon as Christmas Holiday is over. The houndstooth is my new favorite KateCoat (I also loved the Dalmatian print coat), but I don't understand wearing a coat over a coat dress. Seems unnecessarily bulky, especially as the Wickshire is pleated. Kate looks very elegant. It suits her. Even her hair looks better today, more natural. I think this hairstyle will work better with coats than with dresses. I have also enjoyed this week. Very positive. nicely. In one last note of negativity, her hair is not as nicely styled as yesterday. The fringe is in her eyes again, and with the sides tucked behind her ears and the rest just kind of hanging there, she looks like a mom on her way to a PTO meeting after work. Sorry I'm being so negative but after a week of great stuff, this is such a downer. Well said Erika! I like the coat but not with this coat dress inside, not this color. Another combination of colors would be better. And yes, again needs the outfit some interest, as you say Erika. Exactly my thoughts! Her hair looks nice but yes you are right again she is far from a usual mom with unlimited resources of shopping money, drivers, private hairdressers, etc so we expect much more!sorry! @Erika: All interesting points! I think the fringe was blown around by the wind a bit.It seemed to behave when she was inside ;-) I do prefer the way she wore the neck of this houndstooth coat, as I'm a fan of stand-up collars & such. It would've been nice to see her in something new to us (besides the coat) but this teal Wickstead is beautiful in color & structure in my opinion....so I didn't mind the repeat. I actually like everything about this coat. The fit is not so terribly tight as some of the coats Kate has worn lately that are buttoned so tight that they caused pulling in the chest. I like the belted version also, but Kates version looks perfect too. Good job on the blinking lights of Christmas on the title of this blog. If I remember correctly your then fiance last year coordinated with you to decorate your blog last Christmas. It seems the same man who is now your husband assisted again. I wish each one of you and your loved ones A joyful Holiday Season and a very Merry Christmas. I wish you a wonderful first “married Christmas”. After endless searching, I chose a white off the shoulder gown with a sweetheart neckline and lace detailing and trim (definitely a little Kate influence there :)). I bet you were just beautiful Charlotte. Congratulations to you and your husband, and many years of happiness to you both. This non-matchy matchy outfit looks appropriate for the day but wish she had worn a funkier pair of shoes or boots. Oh my the earrings are a touch of history and panache as I think they may be a pair of Diana's that were remade. The hair...hmmm....maybe Richard Ward needs to texturize the bangs? What a treat to see her again this week! Life is good. I love Kate and her hair is beautiful but the complete lack of styling is just mind-boggling. She wears these beautiful clothes and attends events for important causes and then wears her hair styled like I would expect her to with jeans and a tee and trainers. Someone mentioned it being very similar to her mother's hair style and it really is the same, especially with having shortened it and the side bangs/fringe. There's nothing wrong with that but it somehow seems noteworthy. At any rate, I would love to see her hair styled to better suit her outfits. I was one of those who mentioned Carole Middleton. 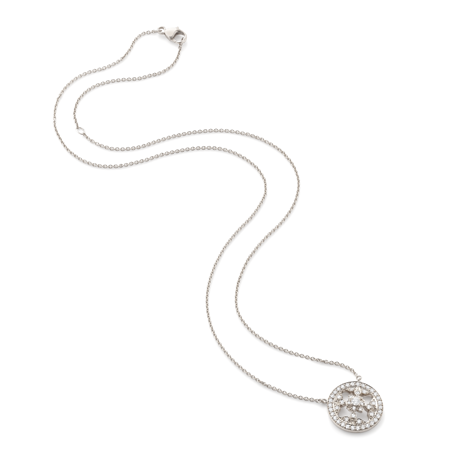 There is nothing wrong in copying your mum's style as long as it's timeless classic. Which in case of Carole Middleton I think it is not. But I guess now Kate thinks less about her wardrobe or hairstyle and takes advices from her mother. But I like her look today, ecpecially the coat. They may have gone to Richard Ward's together. I think the new cut is doing very well for Kate - it passed the dreaded wind test fairly well - with miminal pushing off face and still looked quite nice inside - a good cut will pull back together after being blown. I think Carole is the one who could stand a new shorter more shaped cut - befitting her age - says Julia whose hair is too long and scraggly and completely shapeless. But then I don't expect to be photographed either. That coat and dress don't go together at all! Kate if you are using a stylist..fire them! Since when does a coat need to match the clothing underneath it?? In my world (the cold north) we might own 2 to 4 winter coats/jackets, in wool or down, short or long,in black or maybe a bright color, possibly a houndstooth thrown in...and wear these same coats all winter with whatever we have on underneath. The coat is taken off indoors and so it doesn't need to match your clothing. There have been instances in the past where Kate has worn thin coats (or coat dresses, sometimes can't tell the difference) and never took it off for a whole afternoon indoors. Some here wondered why in the world she never takes off her coats indoors. Well, today she did take the coat off and revealed a pretty solid color dress underneath. The coat was I assume stowed on a coat rack, so why worry about it clashing with the dress. I like the coat very well - although I would like to see it belted. The dress is a lovely colour on Kate - I don't love the style but it works on her. I tend to agree that while most of us put on a coat that may not match the outfit underneath because we have no choice, we do normally think someone in public life will chose a dress and coat that work together. Since Kate owns many coats, I think she may have thought the pop of colour under the black and while coat added to the look - I'm a bit on the fence about it - but overall, I think she looks extremely nice. I agree with you Barbara US. Besides, I thought black and white matched everything. How could this coat not match? Except for a wild patterned dress. That would be too much. I like the way she wore the collar up. It is very sleek and sophisticated looking that way. Silly question- the vent at the back of the coat always has two stitches in it when it is off the rack to keep the lines. The duchess didn't cut those out so the vent stayed sewn shut at the bottom. Is that a normal thing to do or a fluke? I always just assumed you were supposed to cut it before wearing, but now I'm not so sure! She looked gorgeous today and that haircut really does look lovely. I wondered the same too. the vent on the dress is certainly supposed the be open. We call that an open kick pleat. Kate looks very tired, as well she should be. The events of the last few days have been strenuous, and she has a demanding life at home. The blue dress has never been a favorite with me. I think the seams in the coat make the busy fabric even more so. The dress and coat are an odd combination, but no doubt warm. Except for the coat and the tiara, Kate's attire for the last few days has been a series of repeats, with her usual accessories. It is probably easiest when she is very busy to pull out tried and true outfits that are not hard to wear, but it makes her look slightly dated. Except for the green coat she has not worn holiday colors. I do like her haircut, but the fringe needs more length and control. Now that she has taken care of a cluster of dmanding appearances, Kate will have time to prepare for Christmas and concentrate on her family. I hope she first gets some needed rest. The seams in the coat ruin the coat. Big design flaw, in my opinion. My goodness. She's done a few engagements. Let's get it in proportion. Although the dress and coat together was unexpected, and changed her look completely once she removed the coat, she did look nice in both looks. I also am a fan of the shorter hair. I dont think she looked boring, it was classic Kate style. Maxima mostly wears bold and big and becomes predictable as do Letitzia with her tailored look with pants or skirts and jackets etc. Kate is conservative feminine. Thats who she is and I like her like that :-):-). Regarding the dress, I love the color, but I strongly prefer the dress in the original pale pink color. I think the bold turquoise is too doesn't fit with the feminine delicate shape of the dress. The striking color is almost too heavy for the look of the dress. That explains it the color and the fabric look too heavy for the houndstooth. A streamlined dress in a bright color or Jewel tone would be nice, even in a coat dress fabric. A turtleneck sweater dress would have been even better. Different earrings would be a must also. Kate looks beautiful, I like the print of the coat with the color of her dress. Having said that, I don't think I would have picked to pair those two together. I think the houndstooth coat needed something slimming and simple to go with it, like one of her black turtleneck dresses. I agree with Zipzipzippy in that the outfit together seems too bulky. Oh well, I do like the dress and am glad to see it again. If she had to wear that coat, a turtleneck sweater dress (for warmth) would have been perfect. I think her look is fabulous. Her hair is such a wonderful length now - I just don't know what took her so long to cut it shorter. I hope she continues to wear it this length. I love the dress and the coat and think the pairing of the two is beautiful. Well done, Catherine! I like the pink version better as well. I think it might be because you can see too much of the texture of the fabric in the turqoise one. Love the look, love the engagement! Great job Kate! Now go do a bit of Christmas shopping for Charlotte and George! I don't get all the fuss about the hair and the bangs. Having perfectly coiffed and lacquered hair all the time doesn't suit anyone very well--except perhaps the blue-rinse demographic and HM because she has to sort of look like she does on the money or the stamps all the time. That's a very old way of being royal. Bangs in the eyes is part of being natural (and youthful). I love when her hair (or Charles's) blows about in the wind on occasion or falls across her face. That's the difference between a real human being and a model or a mannequin. Then the press might as well take their photo ops at Madam Tussad's. Hi Philly ..I absolutely agree! The only person who has ever told me to get my "hair out of my eyes" was my grandmother who has long since left this world. Seems very old school to me. I am totally with you on this point. She could spray those stray bangs to the side with the stiffest hairspray known to man. Just might be worth a try when it's breezy. For me, the fringe blowing in the wind looks worse than the long hair doing so (although I am a fan of her gorgeous long hair going craz) . The fringe blows right into her eyes and it just looks messy. LOL Philly totally agree. I much prefer her hair & fringe blowing in the wind than the caged hair that some of the more elderly royals wear. You have done a lovely job helping Kate and the princes call attention to good causes this week, perhaps helping to inspire more contributions to these organizations that are critical to the people being served. I expect there are many more weeks like this coming in the future. I am curious about the foundation meeting--wouldn't it be something to be a fly on the wall to hear all that was discussed and planned there! I did think it a little funny/sad yesterday that Kate and Wills raised so much money for their charities and almost all the blog comments ignored that aspect in favor of arguing about a hairstyle. Not that we should ignore hair on a fashion blog, but I do like to see a balance! But that's just me. I love both the coat and dress and really like them together. I black and white check coat or blazer can be worn with almost anything and look great. Still not a fan of the bangs but her hair looked very nice. At first i was iffy on the hair but it's really growing on me. I would say she did it to keep up with the kids but if I had a stylist to make my hair look good when people would see me I'm pretty sure i would keep it long :) it suits her though. I love the color of the coatdress but not the dress itself. I'm not sure what hits me the wrong way with it. but I don't see how this teal dress could possibly be described as a coat. By the way, I think she looks lovely. I love the shock of color peaking beneath her coat in the picture of her accepting the bouquet of flowers from the child. A great week for Kate. I agree a great week for Kate. -The coat is graciously agreeing her. She still seems to want the best of two wolds by wearing one of the seasons primary colors/bright green dress. -Kate looked beautiful in The Lovers Knot Tiara / Diana's designated jewel. -Her hair cut is refreshingly beautiful. In fact this very hair cut not only coordinated with her green suit at the fund raiser, but would have worked out for that "Erdem flower dress". That is teal? Oh I forgot to change my PC color resolution to the default blue. It has been as yellowish green this month. default PC may show it as is, teal. May be it is my wishful thinking she wears Christmas green which it looks like on my PC. To me, a coatdress is one that fastens in the front in the general shape of a coat - but is meant to be worn with no other external garment underneath - or sometimes a blouse that shows in the neckline. Kate (and Diana before her) has worn a number of coatdresses - a classic example is the one she wore the last day in Australia. I'm not sure I would call this present dress a coatdress with the pleats and the defined waist - but that's certainly arguable. Teal/ turquoise with black and white is a common color combination so I'm not sure why so many think the colors do not go well... It seems this hounds tooth jacket is the same cut as her army green one she wore earlier this month. I love the outfit and coat and the combination together. Its not the turquoise with the black and white bothering me. Its the turquoise with the houndstooth pattern that is jarring for me. Houndstooth has more professional, minimalist aspect to it while the pleated A line jewel toned dress gives off a more girlish frivolous vibe. The dress is beautiful. It is one of my favorites, and paired with that hat in New Zealand, it was stunning! Like it paired with the coat today,but just not as much as the first wear. Her hair is growing on me... I think the length would be so much better if her bangs grew out. The bangs make her look too old. But, even on her not as good hair days, the Duchess is still so beautiful! Her hair looks full and healthy, it needed a few inches off. I like it better today; looking at the older photos with those ridiculous long coils of hair convinces me this is a much more age appropriate and polished. The coat and dress are an odd combination but each beautiful alone. She is so natural and warm in appearance. I guess motherhood suits her. Have mentioned it before, and will say it again, but fashion is like art - a lot of it is a matter of personal taste. I personally think the coat goes beautifully with the dress and I personally LOVE her hair this length and style and don't think it looks 'Mummsy' at all. Having said that, it's good to read different opinions as they make you look at the same thing through the lense of another perspective. Always a good thing! A few posters have mentioned over the months that they wish Catherine would go back to her pre-wedding hair style. I'm not so sure about that. She is in a different place emtionally, physically, relationshipwise to the RF.... She's a mother and wife and has increased her portfolio of charities she is involved in. She is a working Royal and her hair and clothes simply reflect a different phase in her life. (my two cents worth anyway!). I. Love. Everything. Thank you so much Charlotte for another fantastic post!! So much to love here! I for one am liking the hair. The long hair was so much to deal with; this looks neater. This is one of my favorite pairs of her earrings, so I was happy to see them out again today. Catherine is so beautiful and poised....an inspiration. This dress was a favourite of mine from the aus/nz tour, especially with the hat. That whole ensemble was impeccable. While I didnt love it as much today, I still think it was a great choice. Fun colour & pleats with classic shoes. I also think that someone could change this classic look if they wanted to because of the fantastic colour and style. I can see myself wearing this dress with black ankle boots and a leather jacket. This is why I love Kate's style - beautiful looks that can be adapted to suit others; not rigid looks that only suit someone in her position. The contrast of the coat was great.I would have been happy with the coat alone (that collar!) But to actually see what was under the lovely coat for once was great. Having read all the comments I went back and looked at the pictures again. I like the coat and the way it is worn on what must have been a very cold day. The styling of the coat allowed her face and beautiful hair to stand out. Am looking foward to seeing the coat in different disguises. What a busy week she has had. Very good publicity for mental health. Well done. The best image of the week remains Kate's shapely leg beside the muscled tree trunk in patents. I really like Kate's shorter hair style I think it makes her look younger and her face is no longer dominated by her hair. I very much hope she keeps it at that length. Also even though caught by the wind it fell back into place quite easily. She needed to wear a coat today it has been quite cold and the lady who met her was very well wrapped up. The dress Kate wore although a repeat was lovely. This sort of event does not call for a new outfit the visit was to find out more about the success the charity is having on helping people with addiction problems and to highlight the work they are doing it was about the charity it was not a fashion parade. I think Kate has looked far more confident and relaxed since returning to events after her maternity leave it was particularly noticeable when she was in the car going to the Diplomatic reception and she also seems far more ready to banter with William at appropriate events. I not it has already been mentioned that William, Kate & Harry were at a reception for their foundation also in the court circular it was stated that Kate that on Tuesday morning she attended a Board meeting of the 1851 charity. I think that is the sailing one that she is Patron of, so it would seem she is doing other things behind the scenes. My only criticism over the past few months has been her lack of attending any event to promote EACH Hospice who are desperately trying to raise the money for a new Hospice and have so far only managed to raise 2million towards the 10 million that is needed. A high profile visit from their Patron could well have helped the cause Mental Health is a major issue which she is quite rightly trying to bring to more peoples attention but she also needs to think of other things as well she shouldn't concentrate purely on one cause she will need to broaden her interests as William has. Thank you for your wonderful posts this week! I'm so happy Kate trimmed her hair. I think it looks fantastic-so very sophisticated. I also think it makes her look more like Carole than she ever has before. I've loved her outfits this week. The recycles have been great-differently styled so almost like new. I liked the hounds tooth Reiss coat very much. Kate in that tiara!!! I love the Cambridges' really tasteful tributes to Diana. They're very tasteful and presented in such a way that they remain personal to William and Catherine but are not lost on anyone who cared about Diana and followed her. Most importantly, they are not maudlin as can sometimes be the case when Diana is memorialized. I completely agree with your comments and couldn't have said it any better. This week has been a real treat. I love her hair because we almost have the same cut. Mine is a tad bit shorter and red. Has anyone done an ‘’All Kate’s coats’’ post? Charlotte would that be something you might be interested in doing during the holidays or do you think I’d be too much work? That would be great Charlotte! LOL, Charlotte with as many coats as Kate has, you might have to do Part 4 and maybe even Part 5 to make the posts manageable. Thanks for the post Charlotte & the details about the charity. I hope the dedication & interest Kate brings to mental health & addiction issues raises the profile & funding over time. On the fashion front - very chic look. Love the coat with the collar up & no belt - it gives a sleek line. The turquoise colour suits her & goes well with the coat. The new sophisticated hairstyle rocks. LOL Alimai so agree about the image of the week & the muscled tree trunk. This is a wonderful engagement - it's good that so many trying to help those with addictions are being properly trained - and that some have been through addiction and recovery themselves - which is bound to give them a unique perspective. An excellent area for Kate's support. Charlotte, you've done a wonderful job of presenting it - love the Christmas decorations for the blog too. A big thank-you to your husband! Charlotte - if there is a slow spell in January or February - I wondered if we might have an opportunity - for those who wish - to submit our favourite photo of Kate for this last year. I know this would be more work for you but I always think that being able to participate a little keeps tempers from fraying so much at slow moments - those long car rides I've alluded to before - and also brings in people who may not want to comment but like to participate. And yes, I do know exactly what photo is my favourite from this last year - and wonder if I may not be alone - although there are many other possibilities and it would be fun to see what everyone comes up with. Sorry, this post meant to go here. Great day, great cause, great choices of clothes. I absolutely love everything about today. It has been a banner week of our favorite Duchess sightings. Thanks Charlotte on a job well done in keeping us well informed. i agree the coat does not go with the dress a black turtleneck dress,tights and black boots would be charming the coat also might have looked better belted i still hate her hair and it was worse today with the fringe blowing in her eyes it looked so messy she needs to go back to her old hair dresser why did she change anyway? Rebecca English said that Richard Ward did do this trim. And IMO, I don't see a problem with the dress and coat combination. One print, one solid. But I'm not crazy about the jewelry combination. Oh just DON"T ;like Kate's hair. It looks as though it's been 'thinned '----if so that's a shame. Also it's LAYERED Oh dear !!!! Love the coat. A well - deserving cause for her to be involved with. It has not been thinned. She used to wear extensions from time to time and that made the hair look fuller than it was - most notably when Charlotte was born and she was outside the hospital. You could clearly see the bump of the wig at the back. The extensions are now out. That is why it looks thinner. I think that this length and volume is perfect. Now if she would go back to her darker color and grow out the fringe, layer the front I think that my wishes would be complete LOL. First off, I was so happy seeing Kate wear the Lover's Knot tiara. I bet Will got all misty eyed seeing his beloved wife wearing something that was so iconically his mother's. He must have had memories as a young boy seeing his mother all dressed up with it on, It signifed to me, Kate really continuing the heritage, not only of Diana, but rising in the eyes of the world and the family as truly royal. As for her new hairstyle, I personally loved her longer locks. I still wear long hair at 60, and it makes me feel and look young. I associate longer hair with a more youthful look, so cutting of the hair and the donning of the heavier jewels says to me that Kate is transitioning into a more mature look and demeanor, being a mother of two, she is gracefully accepting being in her 30's. It says to me, that she wants to be taken seriously in her role of wife of a king to be and mother of another. This coat is scrummy. Black and white houndstooth; totally classy and classic. I think the bright colors of her dress under was fun and wise. And I love her hair even more today than yesterday. I do like an earlier suggestion about perhaps doing a black boot with this. I can understand the bright color under the houndstooth and the need for the thickness of a coat dress fabric for the dress, but as much as I like Kate, I didn't like this pairing. I did not like the earrings with the coat or the dress. Kinda like Kate just grabbed something quickly out of her closet and went. She didn't plan or think it through. She showed up and did what was expected of her so Kudos to her for that though. Just wanted to mention this since I often point out when they're not happy (!) and comment that the relationship KP has with the press, particularly the photogs, needs repairing. I thought this a very good sign, I'm not sure if the charity led the way and KP followed, but as Whatling himself said, "credit where credit's due!" And it shows again how even the slightest of accomodations can make a big difference not just for their work, but for the relationship. I hope it continues. not the usual blank smiles. yep, also have been there, done that, S. I think she has had her hair this length before also. I think it will better with at least another inch and major reshaping of the bangs to be a more gentle layered art of the style. As many have said about the bespoke dress it just somehow misses that is how I feel about the hair and frankly most of her styling and cuts over the last several years. I noted before but Pryce might have been a better stylist at this point for Catherine, she may want to look around for a new up and coming young stylist. I am not too keen on the Duchess's monochrome coats and dresses. The teal coat dress looks nice. When I saw the photo here of Kate wearing it I was a bit confused and thought it was an old photo though I didn't remember her hair being that short when she had previously worn it! Thank you so much for another great post. I have just relied to a reader Dina, passing her the info about one great repli-Kate earrings website. I'm sorry because I hadn´t asked for your permission first to do that on your blog. Oh wow, look at the last photo Charlotte included in the post: the Duchess is simply beautiful with her new hairstyle and this makeup! Perfect woman! I believe she is the Lord Lieutenant - the local representative of the queen who always greets a royal family member on a visit. The men wear a rather dashing uniform but the women wear a brooch and I think that's it. Below is a link that explains what they do - I don't see a photo of the brooch though. I believe she is the Deputy Lord Lieutenant. They coordinate all the royal visits in the area they service. If you ever wanted a royal to attend some charity event in your area that is actually the person you want to get in contact with, not the palace. I like Catherine's hair shorter - has a lovely 'swing' to it! Love the coat, it would have been much better with a belt of some sort, it looked a little bulky and shapeless without the belt. I am not a fan of these dresses, either the teal or the pink. For what these dresses cost and for the tailoring and bespoke tailoring services available to Kate, the tailoring, overall fit and obvious stitching is atrocious and cheap-looking. It looks like either the buttons fell off or that they were removed - and the stitching left on. Also not a fan of these long pleated skirts that hit above the knee. Combined with the bulky sewn-in self belt that sits so high above the waist, it looks like the dress either shrunk in the laundry or didn't fit right to start with. These dresses aren't bad, just a lot of little misses that up to one big "meh." If they were off the rack, it might be acceptable (although most of her off-the-rack outfits fit much better and have much nicer, neater sewing and tailoring than these two), but if these are allegedly bespoke dresses, there's a lot to improve. Her hair has better movement, could use some layering. Kate has had no public outings with the Scouts in quite some time. It seemed like a non-fancy gig she could get behind.......thoughts? The dress is great, the coat also, but the two of them together... I do not know... Something is missing here. The idea about the photo contest is great, Charlotte. I would love such a post. I watched the video and she did indeed look tired and sad. It is the oldest I have ever seen her look. my prayers are definitely going up for the duchess. She may have perks but not all that glitters is not gold. I wouldn't trade places with her for a kaziilion bucks. It appears the rumours are true and Richard Ward is responsible for Kate's new haircut. In an interview with People he described it as "practical" and "a great option for a mom". It also seems Mr. Ward is responsible for the fringe. I was surprised that he is blabbing again. I thought he got into trouble with Kate over doing that before. Maybe they have reached an understanding. Kate WAS having her hair done by William's hairdresser, wonder why she switched? She clearly had a serious amount cut, there are no extensions added, looks flat and boring. All the volume that she was so proud of is gone and he says because it is practical. Okay. Not buying it. Was he the hairdresser whom she left? Help me out! I had read that People article and had pause when Richard Ward made those comments hoping they were sanctioned. I still give out hope Kate will grow it out especially the fringe. If he started with the fringe it had to end up with a cut for the blend in. I for one know how a beautician can talk me into something for certain reasons wonder if that happened to Kate. She still looks beautiful though I love her with long hair. I am glad she is not using the hair cutter that Diana hired to cut William and Harry's hair. When they were children. It didn't seem she was really much of a hair stylist. Why Richard Ward is giving Information about Kate and Carole seems foolish. I wish James Pryce would do her hair from now on. So, she did wear extensions then ? I always wondered because her hair would sometimes me lumpy and bumpy at the back but I never believed it. but now that you mention the loss of volume maybe she did. DISCLAIMER: I know nothing about this situation, but I do know quite a bit about non compete agreements. Pryce worked for Ward in Ward's salon and decided to leave a few years ago, thinking he could take clients with him. My guess is they had a non compete agreement that said he could either (a) not work within a specific radius, or (b) take any clients he gained at Ward's salon with him. Which is why she quit going to both. Pryce couldn't take her, and she didn't go to anyone else at Ward. If she's back at Ward, apparently she's OK with it now and either Pryce cannot take her back (I imagine the price of her as a client would be astronomical) or cannot go back to work with Ward. Don't know. Thanks Bluhare for sharing this. I think she made a mistake leaving Pryce, I think her hair was the best with Pryce, this Ward guy never warmed to my heart. Rebecca English mentioned that both Kate and her mom had recently received a trim at Richard Wards. I love her in this look. I wonder why she chose not to show off her lovely waistline with the belt that comes with the coat? It would have looked more tailored I think with the belt. It almost looked like the coat was wearing Kate instead of the reverse. Either way, loved both the dress and the coat and as usual, she's just beautiful and such a lady. I would have been very interested how that would have played out. British law is different, but from what I know that would have been a lawsuit of legendary proportions -- IF it was a regular client. It would have been very interesting to see what would have happened had a royal been involved in an employment agreement. It would have been interesting Bluhare. Unfortunately Pryce paid the price for been greedy after his new found fame. It burnt his bridges and in a certain sense Catherine's as well. Love her hair. =) I'm just wondering, as someone who's in California, how do British women walk with high heels in gravel? Seems treacherous. But I do love those gravel driveways, I must admit. Not loving the coat, unfortunately. 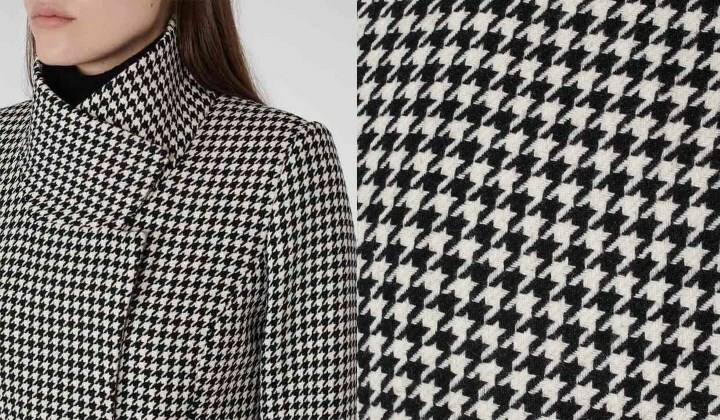 I love me a good houndstooth, but it's such a busy print; as such, I would have preferred to see it in a much shorter length. A blazer or bomber jacket would have been perfect, but the latter especially would be an unlikely choice for the Duchess. Regarding the hairstyle, I think it suits her. I would love, however, to see Kate sporting an even shorter hairstyle. I think a bob would be fantastic.